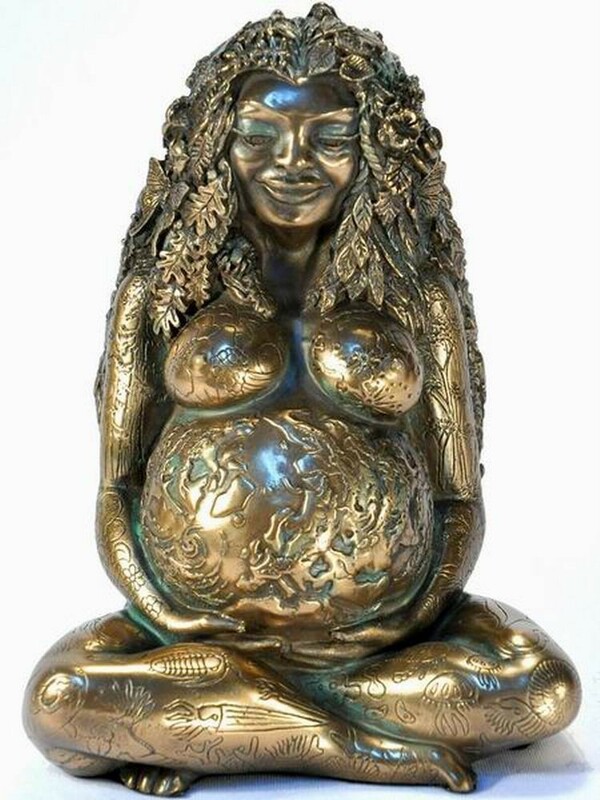 This exquisite figurine, The Millennial Gaia, brings our new evolving consciousness of the Earth into a physical form. She is an invitation to each and every human being to enter consciously into the myth and story of the living Earth and to respond to Her as our Mother, as the larger being of which we are all part. No matter what language you speak, no matter where on Earth you come from, you can hold The Millennial Gaia in your hands and hear Her message. This lovely figure of the living Earth has Her own voice. And if you live with Her in your home, workplace, school, or place of worship, She will speak to you, too. Even small children intuitively know Mother Earth or Mother Nature. She is the oldest and most universally worshipped religious icon in all of human experience. Her images and figurines date back to over 30,000 years ago, and are found all over the Eurasian continent from Spain to Siberia.